Employers have to keep information on record about the employees for various reasons. This includes tax forms, direct deposit forms, resumes and more. The emergency medical information form can be used to make sure that an employer can call or get in touch with the employee’s emergency contact. 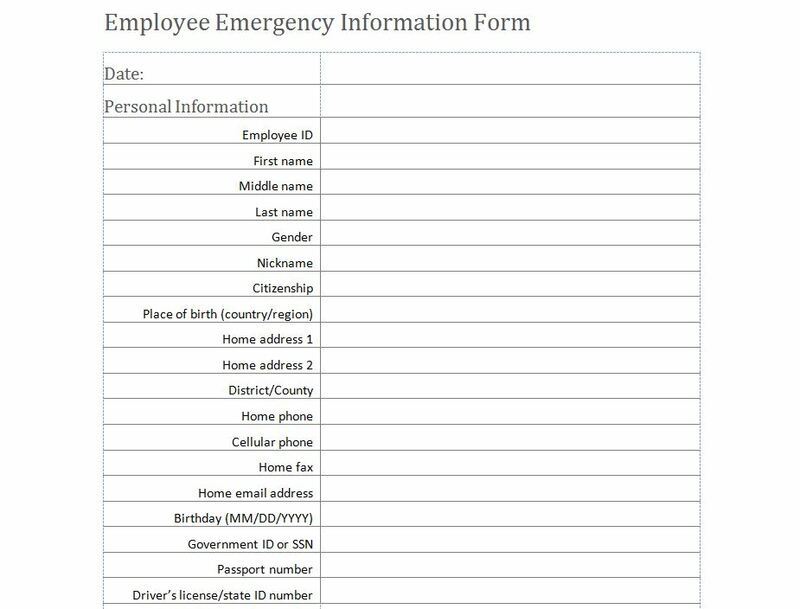 The form can also be used to provide the essential information needed by those that are trying to assist you during an emergency. The first thing to do is type in the current date. Then fill in the personal information. Information that is needed includes the employee ID, name, gender, address, phone numbers, emails, date of birth, social security, and the driver’s license or state ID number. In the second section, you will want to put your medical information. This part is extremely important, as it can help the employer provide the correct information to help save your life. Third, you will want to add an emergency contact. Be sure to add someone who is reliable and reachable. A friend or family member that will assist in getting any further information or assistance that might be of great help. Since the Emergency Medical Information form is customizable, you are able to change the heading. For example, if you wanted to use it for a school. Instead of the word employee, you would type in student. Second, you can add more information that you think is relevant. You can add more than one emergency contact. This is so that if one emergency contact cannot be reached, there are others listed. The third way the Emergency Medical Information Form can be used is on a personal level. This form can be printed out and folded into a wallet or purse. The reason you will want to carry this form with you, is so that if anything were to happen to you in the streets, the people who will try to assist you can have access to the information. This emergency medical information form template is free to download and customizable. The form is easy to use and it is downloadable right here.